EPIC will include a round-table with Ozark Innovators (successful local entrepreneurs) nationally-recognized keynote speaker Ellen Rohr, a pitch competition and business networking event. What if you could "clone" your perfect customer? The customer who is kind, communicative, appreciative and pays in full and on time ... that would be sweet! The next best thing is having your best customers find your next customers! Explore referral marketing with Ellen at EPIC 2019 to discover how to rock marketing your business. Ellen nearly sank her husband’s plumbing company after his partner died unexpectedly. Boy, was she humbled! It seemed like lots of money was moving through the company, but at the end of the month there was never any money left. In desperation, Ellen figured out how to make lots money and turned the business around. She inspires thousands, in workshops, presentations and online, to make business un-complicated and live life un-leashed. 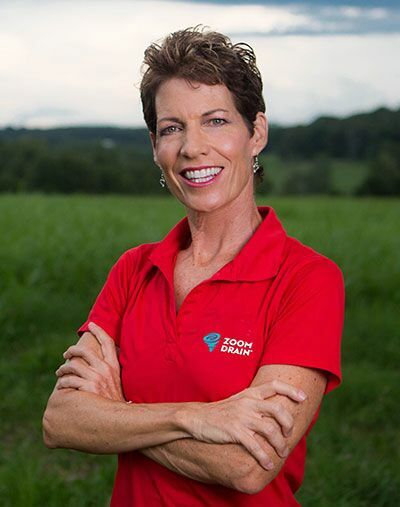 Ellen is also a successful franchisor, helping launch a plumbing franchise to 47 locations and $40 million in sales in under 2 years. Now, she is the president of Zoom Drain and Sewer, LLC. a new franchise concept operating in 12 locations, and tracking $18 million in franchisee sales. She is a columnist for PHC News, and an “in the trenches” contributor to many business journals and trade magazines. Ellen is a popular, high-energy TV Celebrity who has been on over 150 news programs, encouraging people to make their own money. Ellen is the author of four un-fussy business books: Where Did the Money Go?, How Much Should I Charge?, The Bare Bones Biz Plan and The Weekend Biz Plan. Time: 1 - 6:30 p.m.
For a full schedule of EPIC 19 or to register to attend, visit here.